A warm welcome to Awake Music Music is a very personal thing, it has different meanings to different people. At Awake music, your songs are developed and nurtured with the utmost loving care and attention. As your producer my role is to bring the absolute best in your music and have you leave with a song, or a body of work that you are proud of. It’s all about connecting with the essence of the song and understanding you as an artist and what you want to bring out in your music. I have been composing, producing, and performing music for over 30 years and have a deep understanding of the creative process. Every artist has their own uniqueness and their own way of expressing that. It is my job to bring that out and to help you create music that will leave you and your listeners inspired. Any work considered, from a demo, to a fully orchestrated and arranged album. A: Give your arrangements some space. 'does that really need to be there' is a good question to ask. Its easy to get attached to one element of the arrangement at the expense of the whole. Be aware of that tendency. and give yourself space from the arrangements. Do the work - leave it for a few hours, or even days (if you can allow the time). When you return, intend to listen objectively. A: 99% song based, in many genres. In most cases the artist will come with a song, usually accompanied by a guitar or piano, and then we'll go from there. 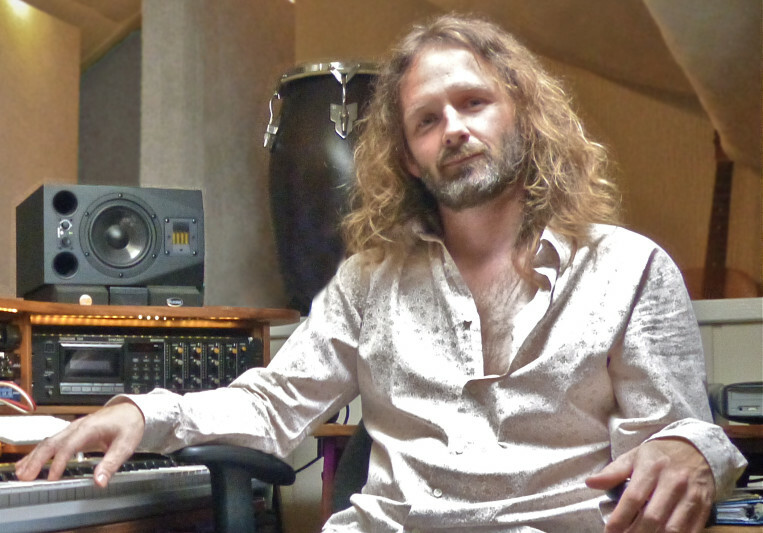 Ive done everything from full blown orchestral arrangements, to music hall, country pop ballads, trashy garage rock, reggae, folk and 60's inspired retro-pop. I love variety! A: Boundless energy, enthusiasm and creativity. Combined with commitment, the dedication to see a project through, and many years of experience making music. A: It varies - depending on the client, how long ive known them and their approach. Having said that, the most important thing is to 'get' what the artist wants and to follow the creative threads that open up as a result of that. Once the trust is there, it opens up more possibilities Once that dynamic has been established, its very easy to experiment and come up with good ideas. A: Ive always made, and been surrounded by music in the home. So i made a conscious choice to keep my studio setup at home. It creates a very relaxed atmosphere that is very conducive to creativity and all my clients love being here. Plus the cooking aint bad either! A: I grew up on the Beatles and loved their playfulness, their dedication to their craft. Stevie wonder, Marvin Gaye, Curtis Mayfield, the Who, the Band, Radiohead, Bob Marley - all revolutionary. Great producers and arrangers in their own right and all dedicated 110% to bettering themselves and producing the best records they could, for the love of making music. guitars. All into Focusrite convertors.